Here are all of the articles we have published for YCS Lille. Have a read of the coverage, and enjoy! Announcing the WCQ: European Championship 2013! Hidden Arsenal 7 legality at YCS Lille. Round 8: The Mega Feature! Top 16: The Mega Feature! Creative Decks at the top tables (Round 4). How to beat the top Decks. Day 1′s Public Events are underway. Our first Giant Card winner! Our first Regionals winner of the weekend! Day 2′s Public Events are underway. We have another WCQ: Regional Winner! Meet Rohan Patel, our Dragon Duel Champion! Our final Giant Card winner! Meet Filipe Benedetto, our YCS Trial Winner! Our YCS Lille Public Event Playoff Winners! What Deck will win this weekend? What’s your favourite card from Hidden Arsenal 7? What are you looking forward to in LTGY? The Yu-Gi-Oh! TCG Card Database: Making coverage easier to read! European Yu-Gi-Oh! coverage hits the 1000 article mark! This time last year: YCS Toulouse flashback. Thank you Judge & Staff team! As always, thank you very much for reading what we have published over the weekend; we hope you enjoyed the YCS experience, and we’ll see you in Frankfurt! More than 800 players showed up for YCS Lille and while the majority of them were from France, we opted to pick UK Duelists James Cooke and Ryan Field for our round 1 Feature Match. Both are well familiar with each other since they’re usually playing in the very same store in London. While Cooke’s bringing a Geargia Deck to the table, Field is relying on the power of the Six Samurai today. This is probably going to get interesting, so let’s not waste any time and get started, shall we?! James Cooke is bringing a Geargia Deck to the table today! Cooke kicked things off, Setting 3 spells or traps together with a monster. Field only Set 2 Spell or Trap Cards. Geargiarmor was supposed to give Cooke the first advantage, but Fiendish Chain held it in place. Geargiaccelerator came down, both monsters were used to Xyz Summon Gear Gigant X and Cooke had to think about his follow-up play for a second. He detached a material, to which Field responded with a second Fiendish Chain! Cooke found Forbidden Lance in his back row, forcing through the effect and allowing him to add Geargiarmor to his hand. He attacked directly, set Geargiarmor and passed. Field only set a spell or trap. Cooke Flip Summoned Geargiarmor, adding Geargiaccelerator to his hand, he flipped it face-down again, Normal Summoned Karakuri Strategist mdl 248 "Nishipachi", this time adding Geargiano Mk-II to his hand, he switched Gear Gigant X to Defense Position and Geargiarmor back to Attack Position and play proceeded with the Battle Phase. After the attacks connected, Field was left with 4500 Life Points. An early advantage for the Machines, now could Cooke keep it up?! A Mystical Space Typhoon got rid of Cooke’s Fiendish Chain. Elder of the Six Samurai came down after Field activated Six Samurai United, he used Asceticism of the Six Samurai to add Kagemusha of the Six Samurai to his field, to which Cooke responded with Maxx "C". Six Samurai United left the field to draw Ryan Field 2 cards and he then Tuned both of his monsters to Legendary Six Samurai - Shi En. He attacked over Geargiarmor, he Set a spell or trap in Main Phase 2 and that concluded the turn. Cooke was far from being out of options, though. He Normal Summoned Geargiano Mk-II, allowing him to add yet another Geargiarmor to his field. He then Tuned Geargiano Mk-II and Karakuri Strategist mdl 248 "Nishipachi" to Naturia Barkion, he Special Summoned Geargiaccelerator and another Special Summon followed; this time, Geargiaccelerator and Geargiarmor were used to Xyz Summon Maestroke the Symphony Jinn. Both players went for the old school approach and relied on Synchro Monsters! Its effect was used to turn Legendary Six Samurai - Shi En face-down, Maestroke the Symphony Jinn attacked over it and the attack of Naturia Barkion left Field on a meager 2000 Life Points! Things were getting close! Field tried to sport a comeback, using Monster Reborn on Elder of the Six Samurai. That was fine with Cooke, the Warrior entered the field again, Asceticism of the Six Samurai followed and this allowed Field to add Kagemusha of the Six Samurai from his Deck. Cooke had a Torrential Tribute, but so far opted not to use it. Field used both of his monsters to Special Summon Ally of Justice Catastor, to which Cooke responded with Bottomless Trap Hole. Field took a nervous look at the scorepad and passed play. Cooke had this one in the bag! When Cooke announced an attack the following turn, Field wasted no time accessing his Side Deck! James Cooke’s Geargia Deck claims the first win! This time it would be Field who wanted to go first and he did so with Kagemusha of the Six Samurai, followed up by Asceticism of the Six Samurai. This of course got him Elder of the Six Samurai and he didn’t waste another minute, adding Ally of Justice Catastor to his Side of the field. Not your typical Six Samurai opening, but Field felt confident, added a back row card and ended. Ryan Field got smashed game 1; could he turn things around?! Cooke used Mystical Space Typhoon to destroy his opponent’s Set copy. He then used Geargiarsenal, it left the field right away, allowing Cooke to add Geargiaccelerator to his side of the field. He Set a spell or trap and play was back to Ryan Field. Legendary Six Samurai - Kageki came down, Kagemusha of the Six Samurai followed, but Field’s greedy play didn’t result in his desired result; Cooke had a Torrential Tribute to get rid of all the monsters! Rai-Oh says: No Smoke Signals for you! Cooke rebuilt with Thunder King Rai-Oh, he attacked, added a back row card and ended. Field Set a card to each zone. Thunder King Rai-Oh attacked into Legendary Six Samurai - Kageki, Cooke Normal Summoned Geargiarsenal and that concluded the turn. Cooke used the effect of Geargiarsenal to add Geargiaccelerator. He then followed it up with Karakuri Strategist mdl 248 "Nishipachi" and both monsters were used to Special Summon Karakuri Shogun mdl 00 "Burei". He opted not to activate the effect, he switched Thunder King Rai-Oh to Defense Position and Karakuri Shogun mdl 00 "Burei" attacked successfully over Legendary Six Samurai - Kageki. Field tried to muster a comeback with Six Samurai United and The Six Samurai - Zanji. It’s attack was supposed to end in Mirror Force, but Musakani Magatama made sure it could get Thunder King Rai-Oh off the field. Shien's Smoke Signal allowed Field to add hand of the Six Samurai to his hand, he Set a back row card and ended. The Forbidden Lance was moving at lightning speed! Pot of Duality got Cooke Forbidden Lance. He used the effect of Karakuri Shogun mdl 00 "Burei" to switch The Six Samurai - Zanji to Defense Position, Geargiarsenal followed and after it got rid of the Warrior, Karakuri Shogun mdl 00 "Burei" dealt 2600 damage, leaving Field on 1100 Life Points. In Main Phase 2, Cooke replaced Geargiarsenal with Geargiaccelerator. Field was hanging in the ropes and he knew it – his facial expression was giving that much away. He used his face-down Mystical Space Typhoon to destroy Cooke’s Set Forbidden Lance, he checked his opponent’s Graveyard and then set a card to each zone. 3 on 1 is hardly a fair fight! Cooke found Mystical Space Typhoon to get rid of Solemn Warning. He added another monster, declared an attack and Field indicated his Set hand of the Six Samurai (the one he added earlier with Shien's Smoke Signal) and extended the hand! James Cooke overcomes Ryan Field 2 – 0! Round 2! Germany’s Klaus Krieger faces off against Britain’s Shaun Godly. For both this is their second YCS, their previous ones were both in their home countries (Bochum 2013 for Krieger, Sheffield for Godly). Let’s see how they get on! Krieger's second YCS, and first Feature Match! Godly played Pot of Duality, adding Card Trooper to his hand. He Summoned it and sent 3 cards to the Graveyard (including Inzektor Ladybug) to boost its ATK. He Set 1 card. Krieger discarded Dupe Frog to Summon Swap Frog, sending Ronintoadin to the Graveyard. Swap Frog went back to his hand, and he sent another Dupe Frog to the Graveyard to Summon it, sending another Ronintoadin to the Gravyeard. Krieger sent Submarine Frog this time to Summon Swap Frog again after it went back to his hand, and a third Ronintoadin went to the Graveyard! He then sent it back again and Normal Summoned it! Finally, Krieger sent Dupe Frog to the Gravyeard. “ So… full Grave… attack?” Swap Frog took down Card Trooper. Krieger banished 2 Dupe Frogs for 2 Ronintoadins and then Xyz Summoned Gachi Gachi Gantetsu. Swap Frog went back to his hand and he Set 1 card, what a turn! This guy was working extra hard for Krieger! Godly Normal Summoned Inzektor Dragonfly and then equipped Inzektor Ladybug to it. Krieger responded with Book of Moon to flip down Dragtonfly. Krieger Summoned Swap Frog again and sent Unifrog to the Graveyard. Swap Frog attacked into the face-down Dragonfly, but didn’t have enough ATK to take it down! Swap Frog went back to his hand as he Set a card. Godly equipped his Ladybug back to Dragonfly, and boosted it by 2 Levels. He Summoned Inzektor Centipede, which brought back Inzektor Ladybug, boosted its Level, and Godly added Inzektor Hornet to his hand. Both of Godly’s monsters were Level 5 now, and he Xyz Summoned Inzektor Exa-Stag. He used its effect and equipped Krieger’s Gachi Gachi Gantetsu to it. He played Call of the Haunted next, brought back Inzektor Dragonfly and used it to equip Inzektor Hornet, followed by Inzektor Sword - Zektkaliber. Both equipped cards quickly went to the Graveyard as Ladybug and Centipede were Summoned. Hornet was equipped to Centipede, and Godly destroyed Krieger’s Call of the Haunted. Krieger Chained it to Summon Dupe Frog, which was ultimately destroyed and gave him a Swap Frog. Godly got a Inzektor Giga-Mantis from Inzektor Centipede. Godly Xyz Summoned Gaia Dragon, the Thunder Charger, followed by Number 17: Leviathan Dragon, which detached a Material. Godly then Summoned Tour Guide From the Underworld! “Unfortunately it comes from the hand” he remarked as he Summoned another monster, before Xyz Summoning Number 20: Giga-Brilliant! He revealed Inzektor Giga-Mantis and equipped it to Inzektor Ladybug, which equipped Inzektor Hornet from the Graveyard. Inzektor Sword - Zektkaliber ultimately made that ladybug have 3500 ATK (!) and Godly attacked for game with his swarm of monsters! Godly unleashed his Inzektors on Krieger in Duel 1! Krieger opened Duel 2 with a Set monster. Godly played Pot of Duality and added Forbidden Lance to his hand. He then played Dimensional Fissure, Summoned Inzektor Ladybug and equipped Inzektor Giga-Mantis to it, attacking into Flip Flop Frog, which kicked it back. Godly set 1 card. Godly Summoned Inzektor Centipede and equipped Inzektor Ladybug. He attacked and banished Ronintoadin. Ladybug boosted Centipede’s Level by 1 and Godly added Inzektor Dragonfly to his hand before Setting a card. Godly brought back and used Ladybug again “and I’ll now play a million cards to try and go for game?”. He did just that, though was also considering whether his opponent had Battle Fader. “Oh… I could make the Prize Card!” “You can Summon Digvorzhak, King of Heavy Industry?” “If I had one, yeah!” You can tell this was an enjoyable and relaxing game for both of them, despite how many cards were hitting the table. After Godly’s bug combos he attacked with all of his monsters, seeing a Gorz the Emissary of Darkness in return! Following that he Summoned Number 61: Volcasaurus and destroyed Gorz! Krieger Tributed his Token for Sea Lancer, using it to equip 3 cards to itself, and when it was about to attack Godly flipped Threatening Roar! “I think… I think that’s game.” Krieger ran the numbers but unless he could get rid of Number 61: Volcasaurus this Duel looked like it was over. He passed. The fiery fury of Volcasaurus versus the watery wrath of Sea Lancer! Godly declared an attack with Volcasaurus, and during the damage Step revealed Forbidden Lance to seal the Match! Facing each other in round 3 are Germany’s Marius Prinz and Vincent Laine. Sounds like a classic already! Prinz is relying on his home-brewed “Machina Roid” Deck while Laine is piloting a Gadget Deck. It’s a Machine Mirror Match of sorts, with both players trying to plow through a field of Mermails, Firefists and Dino Rabbits. Vincent Laine is bringing Gadgets to the Feature Match table! Prinz won the die roll and opted to go first. He only Set a back row card and passed play. Laine had Red Gadget to add Yellow Gadget to his hand, he Set a spell or trap himself and attacked directly, resulting in the first change in Life Points. Mystical Space Typhoon destroyed Compulsory Evacuation Device during the End Phase and play was back to Prinz. He used Machina Gearframe to add Machina Fortress to his hand, now also getting his engine going. He discarded Unknown Snchron and Machina Fortress to Special Summon the latter, he then attacked over Red Gadget and a direct attack with Machina Gearframe followed. He added a second back row card for good measure and passed play. Prinz seemed to be in a good position early on! Laine started rebuilding with Yellow Gadget, finding Green Gadget. He then followed it up with a Machina Fortress of his own, but Prinz had a Bottomless Trap Hole to deal with it. Laine Set a spell or trap and ended. Compulsory Evacuation Device recycled Machina Gearframe and just like the first time he Normal Summoned it, Prinz added another Machina Fortress. He discarded 2 copies to add it to his field, but not before Machina Gearframe equipped the first copy and without declaring an attack, he ended his turn. Laine’s engine kept rolling, with Yellow Gadget finding Red Gadget. He checked his face-down card and he also held on to Pot of Avarice, Limiter Removal and 2 monsters. The Gadgets were starting to fight back! After giving it some thought, he used both of his Gadgets to Xyz Summon Gear Gigant X, to which Prinz responded with Torrential Tribute! He detached Machina Gearframe, which meant only his Machina Fortress stayed on the field. Laine on the other hand took the invitation, using Pot of Avarice to refill his hand and empty his Graveyard. He added 2 more back row cards and passed play. Prinz opted not to attack. His set back row card (Solemn Judgment) got destroyed by Mystical Space Typhoon during the End Phase. Laine Normal Summoned Red Gadget, he chained Limiter Removal as well as Chain Summoning. He added Machina Gearframe, this got him Machina Fortress, he had yet another Gadget in his hand and after a series of Summons, he was left with Machina Fortress (equipped with Machina Gearframe) and Gear Gigant X on the field. The Gadgets were slowly gaining the upper hand! He attacked with his Machina Fortress, losing his Machina Gearframe and Gear Gigant X (thanks to the effect of Prinz’ Machina Fortress). Laine went even crazier this time, activating Double Summon, Normal Summoning Red Gadget and Green Gadget to add even more Gadgets to his hand and further thin out his Deck. He calculated the damage totals, declared attacks with his Gadgets and Machina Fortress and that left Prinz on 1700 Life Points. He Xyz Summoned Maestroke the Symphony Jinn in Main Phase 2 and ended. Maestroke seemed like a great play at this point! Dark Hole didn’t help against Maestroke the Symphony Jinn and when Laine also had Mystical Space Typhoon to get rid of the Set Limiter Removal, Prinz knew it was over. Vincent Laine takes the lead! After a good start, Prinz clearly lost some steam, not being able to keep up the pressure. It might have been a better move to play a little riskier, trying to apply more pressure with his Machina Fortress rather than giving Laine time to get his own engine going with his Gadgets adding one monster after another to his hand. Will we see a different approach in the second Duel or some crazy Side Decking tech? Prinz now had to win 2 Duels in a row! Prinz wanted to go first again, this time setting a card to each zone. Laine didn’t waste any time, Normal Summoning Yellow Gadget to add Green Gadget to his hand. He set a Spell or Trap Card and passed play without attacking. Both players were going for a more conservative approach it seemed, with Prinz setting 2 spells or traps. Heavy Storm wiped both players back rows, Laine then Normal Summoned Green Gadget, he activated Double Summon, Red Gadget followed and he then Special Summoned Machina Fortress and Number 16: Shock Master. He used the effect of Number 16: Shock Master, declaring “Monster”, he attacked over Expressroid and Machina Fortress attacked directly. Prinz left the Gadgets too much room to breathe, allowing them to go for Shock Master! Monster Reborn brought back Expressroid. Prinz added 2 back row cards and he ended. Laine used the effect of Number 16: Shock Master, to which Prinz chained Forbidden Chalice to strip it off its effect. He then attacked over Expressroid with Machina Fortress and ended. Dark Hole wiped the field. Prinz added a second back row card. Play was back to Laine, who opted to not perform any actions. Nothing happened on the following turn. Laine now picked up steam again, with Red Gadget allowing him to add Yellow Gadget to his hand. He attacked directly, leaving Prinz on 4200 Life Points. Prinz didn’t perform any actions. Once again, Prinz was left without a field while the Gadgets stood strong! When Yellow Gadget came down, Prinz used Effect Veiler to negate its effect. Laine attacked with both of his monsters, he Set a third spell or trap and ended. Prinz also added a third back row card. Laine attacked and Prinz took the damage after some consideration. Another attack followed. This time Prinz did respond, extending his hand. Vincent Laine overcomes Marius Prinz! YCS Lille is well and truly underway now and this round we bring you two Duelists who have already suffered one loss and know that to stand a good chance in day 2 they must win the rest of their matches today. Zack Bloundele is here from Southampton, England and is piloting the recently reinvented Frog Monarchs, while Styn Dellerca has bought his Geargia Deck from Belgium. Bloundele won the dice roll and started us off with a set monster. Could Bloundele's Monarchs halt the Machine revolution? Dellercq set two cards to his backrow and a monster before passing. Bloundele drew and contemplated his options before adding another set monster. Dellercq flipped up his Geargiarmor and searched out Geargiaccelerator. He flipped his Armor down again before passing. Bloundele tributed his set Treeborn Frog for Raiza the Storm Monarch and used it’s effect to target the set Armor. Dellercq responded with Bottomless Trap Hole. A flipped Spirit Reaper forced a Compulsory Evacuation Device and Bloundele passed. Dellercq Normal Summoned Geargiarmor before Special Summoning two Geargiaccelerator. He flipped down the Geargiarmor and overlaid into Photon Papilloperative using it’s effect to flip his Armor and search his third Geargiaccelerator. He Special Summond it and both monsters worked together like a well-oiled machine to bring out Gear Gigant X! Detaching for it’s effect searched Meklord Emperor Wisel and he made attacks with both monsters before setting two cards to conclude his turn. Dellercq soon supported his monsters with set backrow cards! Bloundele Special Summoned his Treeborn before playing Heavy Storm. He used Soul Exchange to tribute Gear Gigant X and his Treeborn for Light and Darkness Dragon! He couldn’t attack due to Soul Exchange’s effect so he ended. Dark Hole from Dellercq forced a negation from Light and Darkness Dragon. He set a monster then used the effect of Photon Papilloperative to drop the dragon’s attack to 1800. Next on the agenda was an attack over the dragon and Bloundele bought back his Treeborn. Bloundele drew and tributed the frog for Caius the Shadow Monarch, banishing the face-down Genex Ally Birdman and blasting Dellercq for1000 damage with the effect. His shadow-loving Monarch attacked over Photon Papilloperative and that was all for the turn. Dellercq could only set a monster before passing back. Bloundele drew and tributed his newly Special Summoned Treeborn Frog for Jinzo! He attacked over Geargiarmor and then hit directly with Caius for 2400 damage. In Main Phase 2 he Xyz Summoned Photon Strike Bounzer and passed with 4 cards in his hand. A blast from the past? This field could be from 2006! Dellercq drew to 3 cards in hand with nothing on the field. He sighed and set a monster before passing. Bloundele bought back Treeborn and Normal Summoned Spirit Reaper. He attacked directly with the Reaper dragging a Geargiano Mk-II from Dellercq’s hand into the depths of his Graveyard. Dellercq set a backrow and was done but it got blasted by Mystical Space Typhoon in Bloundele’s Standby Phase. It was a Forbidden Lance and was chained to destroy Reaper. Photon Strike Bounzer attacked for 2700 and Bloundele passed. Another set monster from Dellercq was met with a Special Summoned Swap Frog from Bloundele. He used it’s effect to send Ronintoadin from the Deck to the Graveyard and then removed his Treeborn to Special Summon it. Ronin and Swap Frog joined as materials to bring Daigusto Phoenix in to the mix! Bloundele targeted itself with it’s effect and with only 1600 remaining Dellercq conceded and went for his side Deck! Bloundele comes back from a strong opening to take game 1 with a flurry of tribute monsters! Both players sided in silence and Dellercq would start us off for game 2. He opened with a set monster and a backrow. Bloundele described the set monster as a ‘mystery monster’ – could it be a Geargiarmor? Dellercq would need a strong start to make a comeback in this match! Bloundele responded in kind with a set monster and Dellercq returned the favour of dubbing it a ‘mystery card’. Battle Fader puts in the work and saves the day! Bloundele drew tributed his Fader to Normal Summon Jinzo, attacking over the attack position Armor. He activated Messenger of Peace in Main Phase 2 and set two cards before passing. Dellercq drew and used both Burei to Xyz Summon Number 11: Big Eye. It pilfered Jinzo and he summoned Geargiano Mk-II which attacked for 1000 and he passed. Bloundele had Breaker the Magical Warrior to take out Dellercq’s Torrential Tribute and used Monster Reborn to take Karakuri Watchdog mdl 313 "Saizan". He Synchro Summoned Scrap Dragon and used it’s effect to destroy Big Eye and his face-down Mystical Space Typhoon, which was chained to take out a set Threatening Roar. Dellercq's Number 11: Big Eye was scrapped! Bloundele used the effect of Scrap Dragon to destroy his set Deck Devastation Virus and Bureido before passing. Dellercq passed again and Bloundele set a monster before targeting it with Scrap Dragon, revealing it to be Treeborn Frog! He destroyed Dellercq’s Fiendish Chain. Dellercq activated Dark Hole and chained Forbidden Lance on his Karakuri Muso mdl 818 "Haipa". All cards on the field were destroyed other than Haipa which allowed Dellercq to Special Summon Meklord Emperor Wisel. Bloundele drew and paid for Messenger of Peace before passing. Dellercq summoned Geargiarsenal and use it with Haipa to Special Summon Gagaga Cowboy in defence. Cowboy shot Bloundele dropping him to 4800 Life Points. Bloundele paid for Messenger of Peace and passed again. Dellercq shot with Cowboy and Bloundele passed once more. Dellercq set a Spell/Trap to take him to 3 total. Bloundele summoned Swap Frog and Dellercq used Fiendish Chain, not realising that Bloundele could simply return it to his hand as a cost and pass. Treeborn frog is a Monarch's best friend! Dellercq set a monster before passing and Bloundele chose not to pay for his Messenger. Heavy Storm was next and took out Dellercq’s entire back row including a chained Threatening Roar. Swap Frog sent Treeborn Frog from the Deck to the Graveyard. Bloundele returned Swap Frog and activated a second Messenger of Peace before ending. A flipped Geargiarmor from Dellercq searched a Geargiaccelerator and took him to 3 cards in hand. He Special Summoned it and returned it to Special Summon Genex Ally Birdman before slamming it back on the field. Armor and Accelerator gave Dellercq Gear Gigant X which used it’s searching ability to fish a Meklord Emperor Wisel out of his Deck before passing. A good field but not much use with Messenger of Peace in the way! Bloundele paid the piper for his Messenger and Normal Summoned Swap Frog sending his last Treeborn to the Graveyard. He banished it for Ronintoadin and along with his Swap Frog Xyz Summon Gachi Gachi Gantetsu. Gear Gigant X got Dellercq a Karakuri Ninja mdl 919 "Kuick" and Mystical Space Typhoon finally took care of Messenger! He Normal Summoned Kuick and Synchro Summoned Crimson Blader. Gear Gigant X took a material from Gachi and Crimson Blader attacked over Treeborn to make sure no Monarchs came down for Bloundele on his next turn! Bloundele bought back his Treeborn and used Enemy Controller to take Blader before returning Treeborn again. He attacked over Gear Gigant X and then tributed Blader and Treeborn to set a monster. Dellercq passed after setting a monster and Bloundele did the same. Dellercq flipped his Giant Rat and tuned with his Birdman to make Black Rose Dragon, using it’s effect. He bought out Meklord Emperor Wisel and attacked before ending. Time on the round was called on this move – there would be another 5 turns. Bloundele bought back his Treeborn Frog and Ronintoadin and set a backrow. Dellercq set a backrow and passed. Bloundele used Enemy Controller and Wisel negated. He used Soul Exchange to tribute Wisel for Mobius the Frost Monarch and passed. Dellercq had no cards on the field and drew to one in hand for his last turn, 2600 Life Points in the lead. He was visibly annoyed at his draw and set a Spell/Trap. Water and Darkness combine to take the game! Bloundele drew and tributed Ronin for Caius the Shadow Monarch, wiping out Dellercq’s Limiter Removal. No wonder he was annoyed drawing it with no monsters! Bloundele attacked with both monsters for 4800 and that was the game! With 3600 to Dellercq’s 1800 it meant he took the game and the match! Zack Bloundele moves on with a 3-1 record! Enviada: Thu May 02, 2013 2:11 pm Assunto: gb fire fist que m.....!!!! We’ve made it to the last round of today’s competition. We invited Chris Vinke and Florian Giesa to our Feature Match area. The winner of this match will still have a shot at advancing to the knock out portion of the Main Event while the less fortunate Duelist will have to decide on what Public Events he’d like to enroll in tomorrow. Vinke is relying on Gladiator Beasts AND Firefists, while Giesa pilots a Wind-Up Deck. Chris Vinke mixed up Firefists with Gladiator Beasts! Giesa started the match, setting 2 back row cards. Vinke found Brotherhood of the Fire Fist - Bear in his opening 5, but Torrential Tribute got rid of it. He set 2 spells or traps, with Bottomless Trap Hole getting destroyed by Mystical Space Typhoon, and passed. Heavy Storm destroyed The Huge Revolution is Over, Wind-Up Factory and Wind-Up Soldier followed, allowing Giesa to add Wind-Up Shark to his hand and an attack and a set back row card later, it was Vinke’s turn again. The Wind-Up monsters were getting warmed up! He tried to get rid of Wind-Up Soldier with Gladiator Beast Andal, but Dimensional Prison banished it instead. He set a spell or trap and ended. Giesa attacked directly and passed. Fire Formation - Tenki got Vinke Brotherhood of the Fire Fist - Bear, he Normal Summoned it, used its effect to destroy Wind-Up Soldier, attacked directly, dealing 1600 points of damage and adding a face-down Fire Formation - Tensu to his back row. He activated the Continuous Spell Card during Main Phase 2, he then Normal Summoned Gladiator Beast Laquari and an Xyz Summon later, Brotherhood of the Fire Fist - Tiger King hit the field. Its effect allowed Vinke to add yet another Fire Formation - Tensu to his back row and he passed play. Now it was Vinke's time to unleash some combos! Florian Giesa takes the first Duel! Chris Vinke was a little too fast when he used Fiendish Chain on Temtempo the Percussion Djinn before his opponent activated its effect. This way, he didn’t have anything to stop Number 61: Volcasaurus from destroying his most powerful monster and dealing enough damage to win the Duel! Florian Giesa only had to win 1 more Duel! Vinka had Gladiator Beast Andal, he Set 2 back row cards and ended. Heavy Storm destroyed Forbidden Lance and Bottomless Trap Hole, Messenger of Peace followed, Giesa was setting a monster and added a back row card and that concluded the turn. Play was back to Vinke, who activated Fire Formation - Tenki. Dust Tornado got activated in response and Giesa Set a fresh card. Vinke also Set another spell or trap and ended. To the scorekeeper’s dismay, Giesa paid 100 Life Points, he added a third spell or trap and ended. Vinke added a back row card. Giesa simply paid another 100 Life Points. Vinke was now up on 3 cards in his hand, he also Set a third spell or trap and play was back to Giesa. Slowly, but steadily, the back row filled up! The German Duelist added Wind-Up Rabbit, still keeping Messenger of Peace on the field. He Set a third face-down spell or trap. Nothing happened the following 2 turns. Vinke Normal Summoned Thunder King Rai-Oh and passed. Giesa was a strong believer in pacifism, paying for Messenger of Peace for the 6th time. He added a face-down card in his last Spell and Trap Card Zone. Vinke added a fourth face-down card. One turn later, all Spell and Trap Card Zones were filled up and play was back to Giesa. Only 72 more turns! He Normal Summoned Wind-Up Magician, used the effect of Wind-Up Rabbit, with Vinke chaining Maxx "C". Wind-Up Shark hit the field, both monsters were then supposed to be used to Xyz Summon Maestroke the Symphony Jinn, but Vinke used the effect of Thunder King Rai-Oh to make sure it didn’t hit the field. After that, Giesa passed the turn. Time to get rid of some monsters! Vinke Normal Summoned Rescue Rabbit and he used its effect to Special Summon 2 copies of Gladiator Beast Andal. Giesa used Torrential Tribute, but Vinke had The Huge Revolution is Over. He then Contact Fusion Summoned Gladiator Beast Essedari, Set a spell or trap and ended. “I don’t want to pay!”, Giesa announced and Vinke couldn’t help but rejoice when he heard that decision. Trap Stun was next, but Vinke wouldn’t allow his opponent to shut down his back row, using Solemn Judgment. Mystical Space Typhoon destroyed Torrential Tribute, Giesa then had Wind-Up Factory, activating it, but Vinke chained Call of the Haunted to bring back Thunder King Rai-Oh, negating it! Wind-Up Rat followed, trying to bring back Wind-Up Shark and Vinke chained Maxx "C" to draw a card. Giesa then set 3 more spells or traps, filling up all of his Spell and Trap Card Zones before passing play. This game had turned into a thriller by now! Finally, we’d see some attacks in this game! Vinke sent Thunder King Rai-Oh into Wind-Up Shark. Giesa announced that he would activate the effect of Wind-Up Rabbit, targeting Wind-Up Rat and he also wanted to chain Dust Tornado to get rid of Call of the Haunted. This also triggered the effect of Wind-Up Factory, allowing Giesa to add Wind-Up Shark to his hand. Vinke attacked with Gladiator Beast Andal into Wind-Up Shark. In the damage step, he activated Horn of the Phantom Beast, which meant he would get to draw a card. Gladiator Beast Essedari attacked over Wind-Up Rabbit, which left Giesa with no monsters and that concluded the Battle Phase. Still in Vinke’s turn, he activated Fire Formation - Tenki. He added Brotherhood of the Fire Fist - Gorilla to his hand, Giesa activated Mind Crush, declaring exactly this card and taking a peek at Vinke’s hand. Vinke then used Mystical Space Typhoon on Overworked, which got chained, destroying Gladiator Beast Andal. Monster Reborn was next, attempting to bring back Thunder King Rai-Oh. That was fine with Giesa. Vinke added 2 back row cards and that concluded his turn. Could Leviathan Dragon pick the lock of Vinke's defenses?! Vinke attempted to activate Mind Crush during Giesa’s Draw Phase, however, he didn’t have another card in his hand. Wind-Up Rat came back, its effect was used to return Wind-Up Rabbit to the field, Giesa then used both of his monsters to Xyz Summon Number 17: Leviathan Dragon and it activated its effect, making it a 2500 ATK monster. He attacked into Thunder King Rai-Oh and during the Damage Step, Vinke activated Forbidden Lance to make sure his Thunder King Rai-Oh would come out of this fight scarred, but victorious. During Main Phase 2, Giesa Normal Summoned another Wind-Up Rat, once again, he brought back Wind-Up Rabbit, he also added Wind-Up Shark for good measure and after Wind-Up Rabbit‘s effect was used to banish Wind-Up Rat, his remaining 2 monsters were used to Xyz Summon Wind-Up Zenmaines. Thunder King Rai-Oh made sure it would never hit the field. Another Overworked dealt with another Brotherhood of the Firefist - Bear! Play was back to Vinke in what now seemed like a thriller. We had 7 minutes on the clock remaining. Brotherhood of the Fire Fist - Gorilla was Normal Summoned and Giesa activated Overworked. Gladiator Beast Essedari attacked directly, leaving Giesa on 3400 Life Points. Wind-Up Rat returned to the field, once again, it brought back Wind-Up Shark, Wind-Up Factory allowed Giesa to add another Wind-Up Shark to his hand, he Normal Summoned another copy of Wind-Up Rabbit, activatd its effect, targeting Wind-Up Rat and then both of his monsters were used to Xyz Summon M-X-Saber Invoker. He added Wind-Up Soldier and thanks to another Wind-Up Shark, he ended up with Tiras, Keeper of Genesis. This allowed him to get rid of Gladiator Beast Essedari and after the following attacks, it was Vinke who was standing with his back against the wall! He drew for his turn, but since he only found Bottomless Trap Hole, he revealed his drawn card and offered the handshake. Florian Giesa is still in competition! Round 6 is here and we’re all the way up here at Table 8! 13 year-old Marcus Patel from the UK has been blazing a trail of glory with his Fire Fist Deck, going undefeated so far. His opponent, Tony Lee from France has been doing the same with Mermail. Only one of these Duelists will remain undefeated when this Match is over, so let’s see who that’ll be! Marcus Patel was having a good day so far! Patel opened the Match with Pot of Duality, adding Mystical Space Typhoon to his hand before Summoning Reborn Tengu. He set 2 cards to finish. Lee discarded Atlantean Dragoons to Summon Mermail Abyssteus, adding Mermail Abysspike and Mermail Abyssmegalo to his hand. He then Summoned Deep Sea Diva, followed by Atlantean Marksman. He then Summoned another Megalo! Patel responded with Torrential Tribute as Lee added Abyss-Sphere and Deep Sea Diva to his hand. The field was swept clean as Patel Summoned another Reborn Tengu. Lee set 2 cards. Patel played Mystical Space Typhoon to destroy Royal Decree. He followed up with Fire Formation - Tensu and Brotherhood of the Fire Fist - Gorilla. 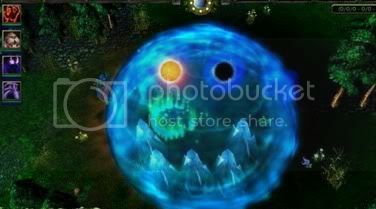 Abyss-Sphere was destroyed by Gorilla’s effect as Patel’s monsters attacked directly. In Main Phase 2 he Xyz Summoned Abyss Dweller and Set Pot of Duality. Lee Summoned Deep Sea Diva, but Patel used Fiendish Chain to negate its effect. Patel Summoned Brotherhood of the Fire Fist - Dragon and attacked directly with both monsters. Lee Set a monster, but it wasn’t enough to protect him as he conceded next turn. Tony Lee was also undefeated up to this point. Lee opened Duel 2 by Summoning Mermail Abyssteus (discarding Dragoons). He added Mermail Abysslinde and Deep Sea Diva to his hand and Set a monster and Spell/Trap. Patel played Pot of Duality, adding Mind Crush to his hand. He played Dimensional Fissure and then Thunder King Rai-Oh, attacking Lee’s Set monster. Lee responded with Dust Tornado on Dimensional Fissure so that Mermail Abysslinde would Summon Mermail Abyssleed. Patel set 3 cards. Lee Summoned Deep Sea Diva and brought out Atlantean Marksman with its effect. He Synchro Summoned Ally of Justice Catastor and Patel let it through. Lee then Xyz Summoned Mermail Abyssgaios. When both monsters attacked, Dimensional Prisons were played against them! Gaios used its effect to negate Thunder King Rai-Oh and Mermail Abyssteus was Summoned in Main Phase 2. Lee added Atlantean Marksman and Mermail Abysspike to his hand before Summoning Mermail Abyssmegalo. He destroyed Starlight Road, added Abyss-Sphere to his hand and Summoned Mermail Abyssleed. Finally, he Set 1 card. Patel used Mind Crush to discard Lee’s Mermail Abysspike. Lee’s monsters attacked, first taking down Thunder King Rai-Oh and then hitting directly. Patel conceded on his next turn as we moved to Duel 3! Duel 3 was about to begin! Patel started Duel 3 with Thunder King Rai-Oh, Dimensional Fissure and a set card. Lee Summoned Deep Sea Diva and brought out Atlantean Marksman, Synchro Summoning Ally of Justice Catastor in the process, although Solemn Judgment took it down! Patel Summoned Brotherhood of the Fire Fist - Dragon and attacked directly with both monsters as Lee Summoned Gorz the Emissary of Darkness. Patel Summoned Maestroke the Symphony Jinn in Main Phase 2. Lee turned Gorz to Attack Position and attacked Maestro, forcing it to detach a material. Patel played Monster Reborn on Brotherhood of the Fire Fist - Dragon, followed up with Fire Formation - Tenki, adding Bear to his hand. Dragon then added Fire Formation - Tensu, which was Set. Patel then Summoned Brotherhood of the Fire Fist - Bear. Bear’s effect destroyed Gorz the Emissary of Darkness. Patel flipped Fire Formation - Tensen, targeting Bear, which destroyed Mermail Abysspike. Patel then Summoned another Bear and attacked with all 4 of his monsters for game! I came across 11 year old Andrea Salviato during the mass feature match that I did last round. Considering that we didn’t feature a Prophecy Deck on the Feature Match table all weekend so far, it seemed only fitting to invite him over. He’s now going up against Joshua Schmidt, a former World Championship contender, making this the match between 2 of the youngest Duelists atop the field. Don’t let that fool you, though, both players certainly knew what they were doing. Salviato won the die roll and opted to go first. Andrea Salviato is 6 - 2 despite his young age! He had Justice of Prophecy, followed by Spellbook of Wisdom, adding High Priestess of Prophecy and Spellbook of Secrets to his hand. Schmidt had Mermail Abysspike, discarding Atlantean Dragoons, allowing him to add both Mermail Abyssmegalo and Mermail Abysslinde to his hand. He then went on and Special Summoned Mermail Abyssmegalo, discarding Mermail Abyssgunde, which in turn allowed him to add another Mermail Abysspike. He attacked, causing Salviato to drop Tragoedia, in Main Phase 2, Schmidt went for Mermail Abysstrite and Bahamut Shark. He Set 2 spells or traps and ended. Salviato tried to fight back against Schmidt's Xyz Monsters! The Temperance of Prophecy and Spellbook of Secrets were Salviato’s response. He added Spellbook of Wisdom to his hand, shortly after he Special Summoned High Priestess of Prophecy and he then used Spellbook of the Master, adding Spellbook of Power from his Deck to his hand. He used Spellbook of Power on High Priestess of Prophecy, attacked successfully over Mermail Abyssmegalo and that allowed him to search his Deck for Spellbook of Fate. He Set a Spell or Trap Card, checked both Graveyards and then triggered the effect of High Priestess of Prophecy, getting rid of Bahamut Shark. He Set another spell or trap, wanted to end his turn, but Mystical Space Typhoon destroyed Spellbook of Fate. Schmidt was up against the ropes suddenly! Play was back to Schmidt, who used Dark Hole to get rid of his opponent’s monsters, but Spellbook of Wisdom made sure High Priestess of Prophecy would get to hand around. Schmidt chained Abyss-Sphere to get Mermail Abysslinde from his Deck and after the chain resolved, he was left with Mermail Abyssmegalo and Mermail Abyssleed! He followed it up with Deep Sea Diva, searching his Deck for Atlantean Marksman. Mermail Abyssleed attacked over High Priestess of Prophecy, an attack with Atlantean Marksman followed, causing Schmidt to search his Deck for Atlantean Dragoons, more attacks followed and that concluded the first Duel. Salviato revealed the last 2 cards in his hand: 2 more copies of High Priestess of Prophecy! “Sometimes you need them and sometimes you have way too many of them,” was all Schmidt had to say to that. Joshua Schmidt takes the first Duel! “I don’t like to play against this Deck,” Schmidt commented. It didn’t seem to be his easiest match-up, but then again, there were few “easy” match-ups this late in the tournament. Joshua Schmidt had competet at last year's World Championship! Both players were done accessing their Side Decks after only very little time and once again, Salviato wanted to go first. He mirrored his opening move from the last game, adding High Priestess of Prophecy and Spellbook of Secrets to his hand. Schmidt wanted to shift into high gear early on, flashing Mermail Abyssteus. Salviato responded with Maxx "C". Schmidt had discarded Atlantean Dragoons, allowing him to add Mermail Abyssgunde and Atlantean Marksman to his hand. He Normal Summoned Mermail Abysslinde, attacked with Mermail Abyssteus and Salviato took the damage. Mermail Abysslinde followed, making it 4800 Life Points for Salviato. Schmidt Set 2 spells or traps and ended. Time for Priestess to make an arrival! High Priestess of Prophecy came down. Spellbook of Secrets allowed Salviato to add Spellbook of Power to his hand, he activated it, targeting High Priestess of Prophecy, but Breakthrough Skill got activated in response, targeting the Spellcaster. Spellbook of Wisdom was activated as chain link 3, which meant Salviato would get to receive the effect of Spellbook of Power, giving him the boost and allowing him to deal some serious damage, attacking over Mermail Abysslinde. Schmidt searched his Deck for Mermail Abyssmegalo, Special Summoning it to the field while Salviato added Spellbook of Fate. Schmidt now realized his mistake; he had thought Spellbook of Wisdom would leave High Priestess of Prophecy unaffected by both Spells and Traps. It was still Salviato’s turn, he used Spellbook of the Master to add The Grand Spellbook Tower to his hand, he used the effect of High Priestess of Prophecy to get rid of Mermail Abyssleed, he activated the Field Spell Card, Set a spell or trap and after giving it some thought, he added 2 more back row cards for good measure. Abyss-Sphere got Schmidt Mermail Abysslinde, he then Normal Summoned Atlantean Marksman and Salviato considered his response. He found Mind Crush in his back row, naming Mermail Abyssgunde. He hit, Schmidt announced that he would activate the effect of Mermail Abyssgunde and Salviato let out a huge sigh, realising his mistake. He dropped Mermail Abyssleed, got rid of Mermail Abyssteus, which cost Salviato Tragoedia, he then overlaid Mermail Abysslinde and Atlantean Marksman to Xyz Summon Number 17: Leviathan Dragon, but Salviato now flipped Bottomless Trap Hole, flipping the Xyz Summon Monster face-down. Play proceeded with the Battle Phase with Mermail Abyssleed attacking High Priestess of Prophecy, but Spellbook of Fate banished it. Schmidt passed. High Priestess of Prophecy attacked over Schmidt’s only monster. Pot of Avarice helped Schmidt to get back into the game! The following turn, he activated Pot of Avarice, with Salviato shaking his head in disbelief. Schmidt drew 2, he Set 2 Spell or Trap Cards and ended. Salviato activated Dimensional Fissure, but Mystical Space Typhoon destroyed it right away again. High Priestess of Prophecy attacked and that concluded the turn. Schmidt only Set a spell or trap. High Priestess of Prophecy connected again. 1000 Life Points remaining for Schmidt. Schmidt now drew another monster, which allowed him to finally Special Summon Mermail Abyssteus he was holding on to for a few turns already. He discarded Atlantean Marksman and Mermail Abyssgunde. Mermail Abyssmegalo followed, but now Salviato activated Torrential Tribute, wiping the field. Schmidt added Abyss-Sphere to his hand, he Set it and ended. Nothing happened on Salviato’s turn. Schmidt drew, he activated Abyss-squall and this got him Mermail Abyssgunde, Mermail Abyssteus and Mermail Abyssmegalo. He Normal Summoned Atlantean Dragoons, he Xyz Summon Mermail Abyssgaios, attacked with everything and passed. Thanks to Abyssgaios, Schmidt had everything under control! Salviato found a third Spellbook, allowing him to Special Summon another High Priestess of Prophecy. Its effect got activated, but Mermail Abyssgaios countered it. Salviato activated Spellbook of Power. He wanted to attack, but Schmidt pointed to Mermail Abyssgaios again. Salviato sighed and extended the hand. Joshua Schmidt defeats Andrea Salviato 2 – 0! Sinceramente, acredito na boa-fé do hades-sama. &&&&&, que que é isso?